1. Prepare the eggplant. Before slicing, in a bowl pour in a good amount of water and a teaspoon of vinegar. Soak the sliced eggplants. The vinegar will stop the eggplant from discoloration. 2. Prepare the breadcrumbs and the egg. Season them with garlic powder, salt and pepper. Beat the egg. 3. 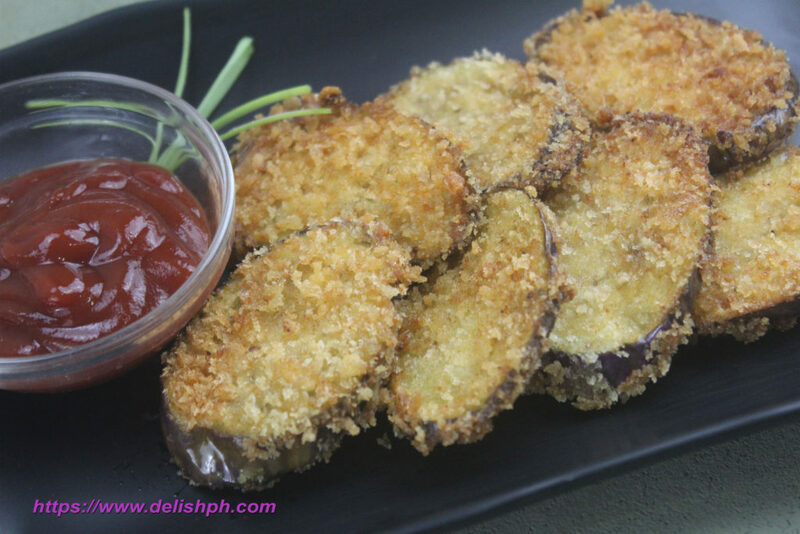 Dip the slices of eggplant in the egg and coat them with bread crumbs. Use your other hand to dip and the other hand to coat to make it less messy. 4. Heat some canola oil in a pan. 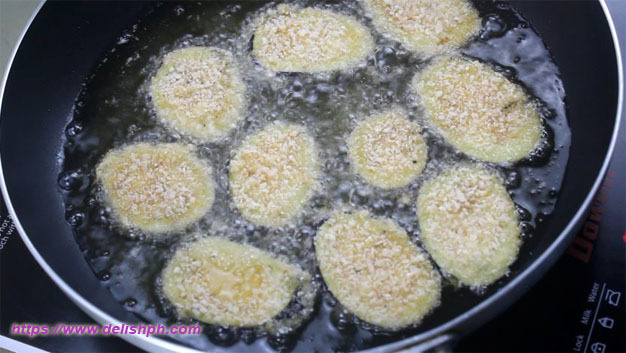 Fry the eggplants until brown and crispy. Use paper towel to remove excess oil. 5. Serve with any dip of your choice. This is one of my comfort food. Alternately other than using tomato ketchup for a dip, I make thousand island dressing. You can also add other spices to the bread crumbs, like paprika or chili powder to add more flavor. If you have any question or suggestion about this recipe, drop a comment below or send me an email or a direct message to our Facebook Page.